Preheat oven to 350°F. 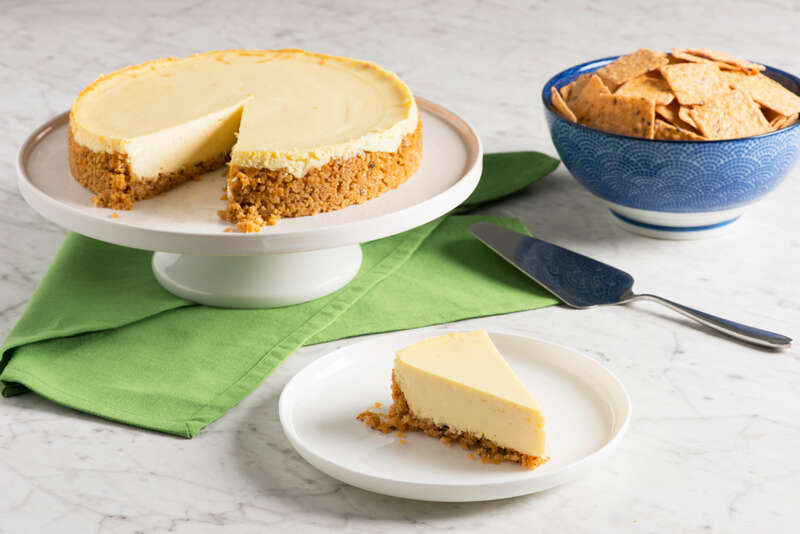 To make the crust, in a food processor, combine the finely crushed Crunchmaster® Artisan Four Cheese Baked Rice Crackers, sugar and melted butter. Process until the crumbs begin to stick together. With your hand draped with plastic wrap to form a glove, press the crumbs firmly onto the bottom and 2 ¼ inches up the side of a 9” spring form pan. Wrap the outside of the pan with aluminum foil. Bake the crust for 15 minutes until set. Remove from the oven and let cool.